Kirby, I get that it was written as the characters yelled, but I cringed every time you screamed in my ear. The yelling cost this performance a few stars in my opinion. Hopefully you toned that down a bit in the next book. I liked the story overall, but I don't know if I will finish the series. I will at least come back for book 2. Great Series for Fantasy Lovers and World Builder fans! 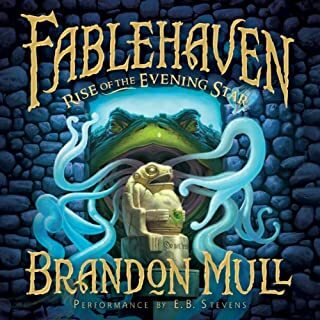 These first three books in this series get 5 stars from me. I was hooked from the beginning. I rarely ever find a book myself, usually I take recommendations. 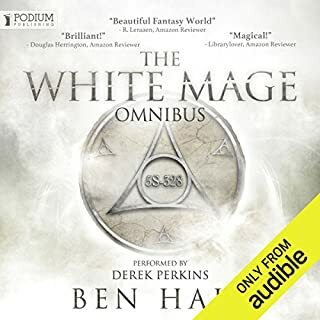 However I stumbled across this on audible and started making my way through. The beginning was Potteresque, but anything involving a Magic Training school will seem that way these days. However, the story stands on its own. Everything is impacted by the events in the books, it's not just affecting those at Triton's School of Magic. Though it's fantasy, I still find it more believable than most books I've read. You'd really only have to change one thing: If Magic were real, this could very well be what would happen. The reader did a great job. I really did not know what to expect, but he kept me listening. There were times that it was annoying, particularly when someone was whining or begging, but I don't know that any other reader could pull that off well enough for me either. Overall, I love the story. I have recommended it to several friends that are looking for a new World Building series. The performance was great! I'm ready to start the fourth book now. 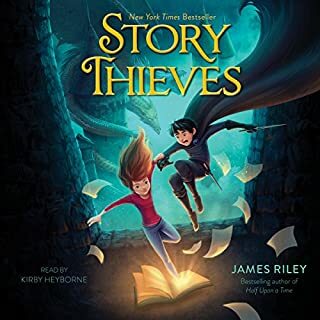 I really like the story, but when the reader does the voices for females, they are terribly whiney and hard to listen to. Especially when Kendra, the main character, interacts with any of the fairies or the other women in the book. week ago, 13-year-old Jack McKinley was a normal kid leading a normal life - totally unaware that he was about to die. He's cursed with a genetic abnormality that's giving him amazing powers too quickly for his body to handle. 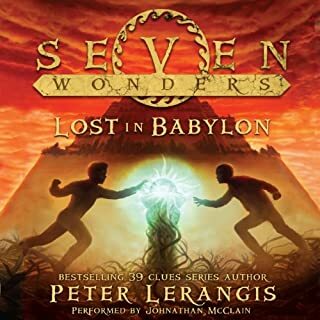 Jack's only hope: Find the seven lost Loculi that were hidden in the Seven Wonders of the Ancient World by the last prince of Atlantis. Only they contain the magic to save him - and the world. Would you listen to Lost in Babylon again? Why? Yes, though I know to cringe anytime "Nirvana" speaks. That is the only exception to an otherwise good reader. What was one of the most memorable moments of Lost in Babylon? The battle between Marco and the Mishy Shoo Shoo is quite an experience. What about Johnathan McClain’s performance did you like? The reader is consistent. Characters do not change throughout the reading. The audience can figure out the ends big secret long before the characters do. The moment I realized what was coming was a big moment.